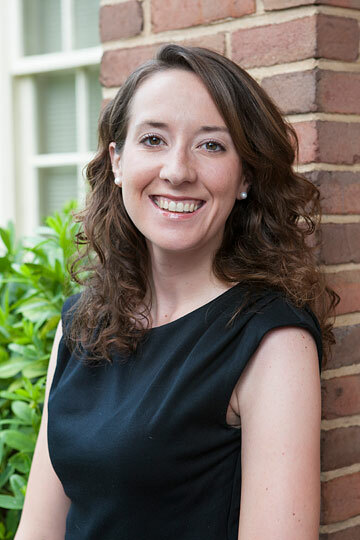 Samford University history professor Erin Mauldin has earned Georgetown University’s 2016 Harold N. Glassman Award for a Dissertation in the Humanities. The award is the university’s highest accolade to its recent doctoral alumni for scholarly accomplishment. Mauldin completed the dissertation — Unredeemed Land: The U.S. Civil War, Changing Land Use Practices, and the Environmental Limitations of Agriculture in the South, 1840–1880 — for her 2014 Ph.D. from Georgetown. Mauldin’s research interests center on 19th-century environmental history, and also include the history of the U.S. South, the Atlantic World and environmental science. She coedited A Companion to Global Environmental History with J. R. McNeill (2012), and has published book chapters in global and U.S. environmental history and book reviews in journals. She frequently presents her work at the American Society for Environmental History, the Society for Civil War Historians and the Agricultural History Society. She organized the 2016 Southern Forum on Agricultural, Rural and Environmental History (SFARE) at Samford in mid-April. Mauldin’s dissertation is the foundation of her forthcoming book, Unredeemed Land: An Environmental History of the Civil War and Emancipation in the Cotton South (Oxford University Press).